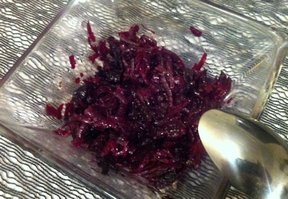 "How can you shred the beets when they are cooked? Do you mean chop them?" 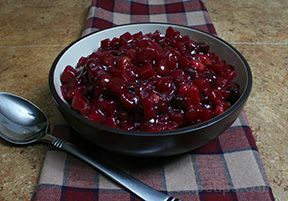 Wash the prunes and finely chop them. 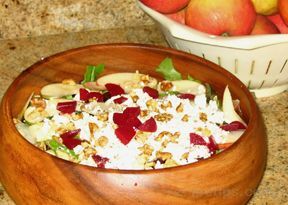 If you do not like the prunes you can use walnuts or you can use both, it will be even more delicious. When the beets are cooked, drain the water, let them cool down and then peel and shred the beets. 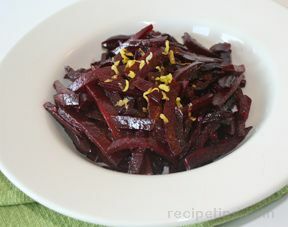 Mix the beet with prunes and add the pressed garlic (optional). Season the salad and add the olive oil. Mix everything very well. Serve with the leaves of parsley (optional) to enhance the taste! TIP: If you want the salad to be more creamy and you aren't vegan or vegetarian, then you can add some mayo instead of olive oil.